While visiting the university for an Open Day, I was left with a really good impression. The Student Ambassadors were very welcoming and friendly. While having a look at the different degrees on offer (because I was still clueless), one of the Student Ambassadors talked about their Economics and Politics degree and I decided that this was what I wanted to do. On the Open Day, I also found out that Exeter was really near beaches in Exmouth and Torquay. 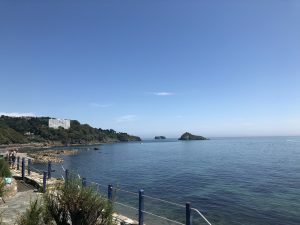 During the summer term, many students take day trips to these beaches to unwind and celebrate the end of exams. Even during the winter, walks down the Exmouth beach are perfect for a break. The Times said: “Could there be a more perfectly positioned city? It has two national parks and plenty of plum coastline on the doorstep, and you’re not cut off from the rest of the country. As an international student, travelling for over 10 hours was enough for me to collapse. It was important for me to be able to have a simple journey from Heathrow airport to Exeter. Being at Exeter means only one direct train from London Paddington to Exeter St. David’s which makes life easier. Also if I want to visit other countries in Europe, I can travel from Exeter Airport. 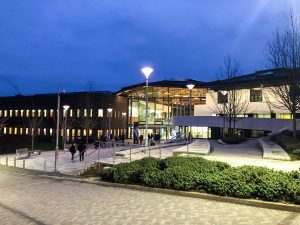 The University of Exeter is part of the Russell Group, and this means that it is one of the top 24 universities in the UK that have an excellent standard of research, teaching and learning experience. It was my priority to choose a university that would ensure me a good learning experience and help me reach my potential. 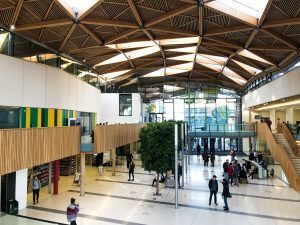 Exeter is in the top 10 for Economics, which was a big contributing factor as to why I chose Exeter. The university is also very helpful with employment and provides students with good employability prospects after graduating. 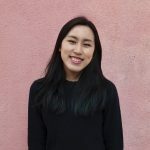 This was really important to me as I see university as a platform to equip me with the skills and resources I need to find jobs in the future. The Career Zone also provides support for international students who want to work in the UK after they have graduated. I was unsure on where I wanted to work in the future, and wanted to keep all doors open; having the Career Zone’s support with employability after university was key. 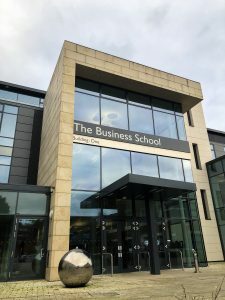 During my Open Day at the university, I had a look at the buildings like the Forum, the Business School and Lafrowda Halls. The Forum is a central hub on campus which made it very convenient for my first year, as I lived on campus. I was lucky to be in Lafrowda as this meant I was very near all the buildings that I had lectures or seminars in. To be near the Forum was also important because I like studying in the library. The buildings have a clean, modern feel which was what I wanted. 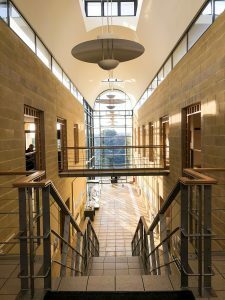 There are some other buildings that lots of prospective students may not see on their first visit such as the Institute of Arab and Islamic studies, which I discovered during my first year, and is definitely one of my favourite buildings at the university. I chose Exeter rather than Durham or Warwick because of the city. I wanted to be in a city that was not too big or too small. Durham is a quaint town but I wanted to be in a city that was bigger. Exeter city centre has really nice High Street shops and all within a 15 minute walk from campus. There is also the Quay on the River Exe, which is beautiful during the summer and great for a cute coffee date with friends. Also, me being paranoid, I wanted to feel safe if I was walking alone at night. Therefore, I did some research and found that Exeter is considered a very safe city. Definitely a relief. Choosing a university can be difficult, I mean, you are choosing to spend the next 3 years or more in a place that will be your second home. I know lots of people, including me, have largely based their decisions on rankings BUT, I can’t stress how important it is to find a place that you can see yourself living in and having a great time. University is very important for your studies and academic life but it is also a time where you make lifelong friends and build memories you will look back at in the future. So, I guess for me, I chose Exeter because I wanted a well-rounded life, one where I would thrive in both my studies and social life.